The time after being in a car accident can be difficult, too. Maybe you’re in a hospital bed, recovering when you want to be working or home with your family. Or, maybe you’re sprawled out in your home, unable to go do your job. Perhaps you’re suffering through the injuries you have, working so that you can keep paying the bills. Hiring a car accident injury lawyer in Los Angeles from us here at the LA Injury Group is a great idea. We can handle your case for you, giving you peace of mind. However, many of our clients ask what they can do to help their own case. It’s natural to feel powerless when you’re going through a car accident case. If you’re like most people, you’re certainly not familiar with having gone through a car accident. The time after the accident will feel alien and weird to you. If you hire a car accident injury lawyer in Los Angeles from us here at the LA Injury Group, they’ll keep you up to date on the case. By leaving the lines of communication open, you’ll be kept up to date on your case every step of the way. That being said, many clients want to be able to help their case on their own. One of the best things you can do for your car accident case is to take pictures. Take pictures of everything related to your car accident. That may seem like an odd suggestion, but it’s one way of keeping track of evidence before it disappears. Taking as many pictures as possible is a great way to help your case, for a wide variety of reasons. In prior years, it was so much harder to take pictures than it is now. As everyone has a camera in their pocket (at seemingly all times) you can get as many pictures as possible, which can help your case. Our car accident injury lawyer in Los Angeles recommends taking plenty of pictures of the crash site. In fact, the earlier you can take these pictures, the better. A great rule of thumb: if you think you have enough pictures of the crash site, you don’t. Keep taking more. You never know which will reveal the one detail that put the entire case and accident completely into focus. That being said, we understand that not everyone will want to take pictures of their crash site. The memories could still be very real, and it’s normal to not want to be there. Having a family member or friend do it is a great workaround. The first, most basic reason to get as many pictures as possible of the crash site is that much of the evidence is going to disappear. Most people don’t realize that about a crash site, but it’s true. Was your auto accident outside? Then rain is going to wipe away quite a bit of the evidence. Even if you’ve been in a vehicular accident in the desert, the high winds, shifting sands and more can do a number on the evidence at the crash site. The earlier you can get pictures of where the accident happened, the better. Eventually, the evidence will disappear – perhaps, even faster than you think. Best to be safe. In fact, pictures of the crash site could be the piece of evidence that shows what truly happened, once and for all. For example, imagine you were injured in a car accident. The other person was clearly at fault, they rammed into you. However, that’s not what they’re saying. The person whose fault your accident was claims that you were speeding, otherwise they never would’ve rammed into you. They (and their high powered attorneys) are arguing that everything is your fault. They certainly weren’t speeding, or running a stop light, only you were to blame. Of course, you know that’s nonsense, but it’s their defense and they’re sticking to it. But, imagine there are skid marks at the crash site where the other party realized they were speeding and hit the brakes. Doing so wasn’t enough to keep that vehicle from slamming into your vehicle and injuring you, but they did slam on the brakes… long enough to leave skid marks. Now, skid marks can be crucial and critical evidence in a car accident case. Unfortunately, skid marks also don’t last long. The evidence that shows the other party is lying, and it was their fault that you got hurt could be washed away with the next rain. Or, alternately, if it’s a street that’s in or around a business or some other important group, it could be cleaned away right after your accident. If you don’t have a picture of those skid marks, you could be missing out on a critical piece of evidence that could make your case entirely. Of course, if you took pictures of the crash site, you’ll be covered. That’s one very tangible way that you can help your own case. Taking pictures of the crash site to help your case isn’t the only place where you can take pictures that might make all the difference in the world. Take pictures of your injuries, too. You aren’t saving them as mementos – you want evidence to show how bad your injuries were. For many people, this is difficult, as your injuries from the car accident might be something that you just want to avoid as you recover. This is understandable, but our car accident injury lawyer team strongly recommends taking pictures of your injuries, from as early on as possible. You want pictures of your injuries at their worst. Hopefully, your body heals entirely and you’re left with no evidence whatsoever that you were hit and hurt in a car accident. However, for many people, that’s not the case. Your body will heal over time, slowly, if indeed it heals at all. One thing that is true for almost all car accident injuries is that your body will look different. Your injuries won’t look exactly like they do right after the accident for long. This is why you need to take pictures of them: so people understand how bad your injuries are. When you don’t take pictures of your injuries at your worst, it gives the insurance company (or whoever you’re going against) a small advantage. They can now say “oh, those injuries aren’t as bad as the injured party claimed.” Without pictures of how bad your injuries were when you first received them, it could be your word against theirs. You could miss out on some of the compensation that you’re due just because you don’t have this evidence. However, when you do have those pictures, it can make your case that much more compelling. Beyond that, you don’t have to stop taking pictures of your injuries after you’ve gotten the first few. In fact, it might help your case even further if you take pictures of your injuries as you heal. That can show just how bad they were, too – as you’ll be documenting how long it takes for them to come back. Instead of describing, even in the clearest, most evocative detail, everything you’ve gone through, your pictures can do that for you. They really are worth more than a thousand words. 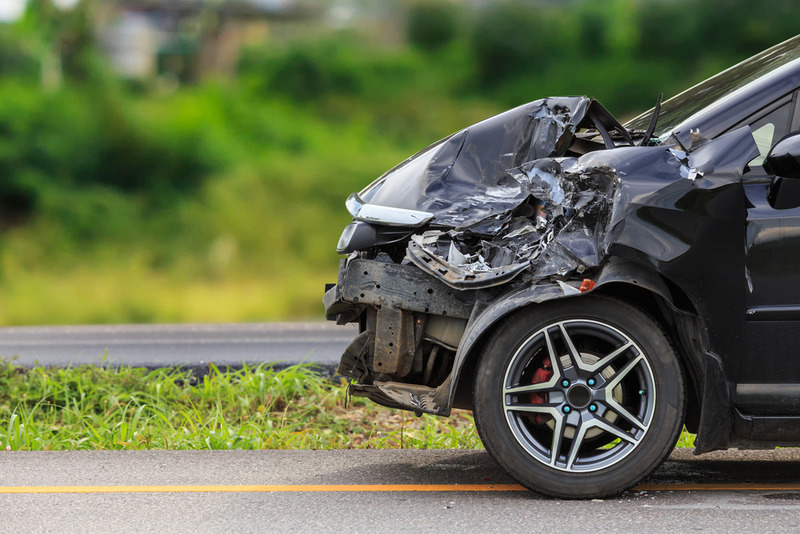 There are many ways to help your car accident case. One of the most effective is still calling us at the LA Injury Group. We have a dedicated car accident injury lawyer team who loves sitting down with potential clients to figure out how we can help them. To learn more, head over to our website or give us a call at: (818)210-4558.